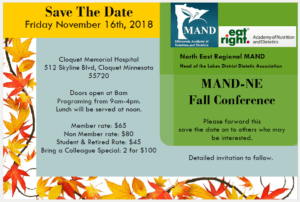 « MAND Twin Cities Fall Event – SOLD OUT! Join us on November 16th! Lunch will be served at 12 noon.